I spent last Saturday morning at the Salem Athenaeum helping to choose this year’s candidates for our adopt-a-book program,very gently examining amazing books from the seventeenth, eighteenth, nineteenth and early twentieth centuries. There were first-edition volumes by such diverse and esteemed authors as Sir Isaac Newton, Benjamin Franklin, Edgar Allen Poe, Nathaniel Hawthorne (of course) and Jack London to examine, but surprisingly the works which really captured my fancy were lesser-know works on guns, robbers, and poison. Don’t be concerned; I have my reasons. 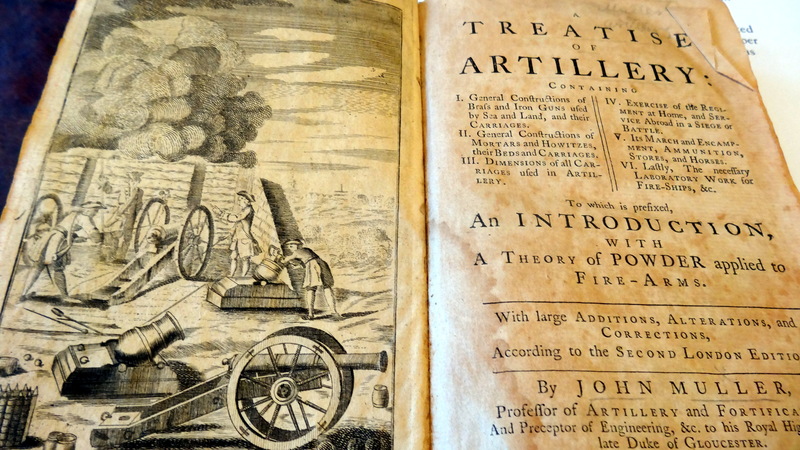 I was captivated by the Athenaeum’s copy of the classic eighteenth-century artillery manual, John Müller’s Treatise of Artillery (first published in 1768 and in America in 1779) not because of its subject matter but its binding. 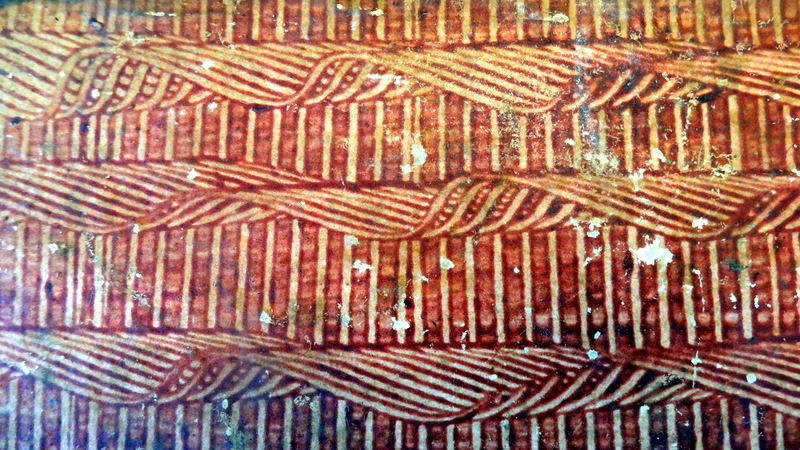 This manual was not covered in leather but rather in less costly paste paper, a process devised by sixteenth-century bookbinders where a colored paste is brushed onto wet paper and then carved, combed, brushed, etc. 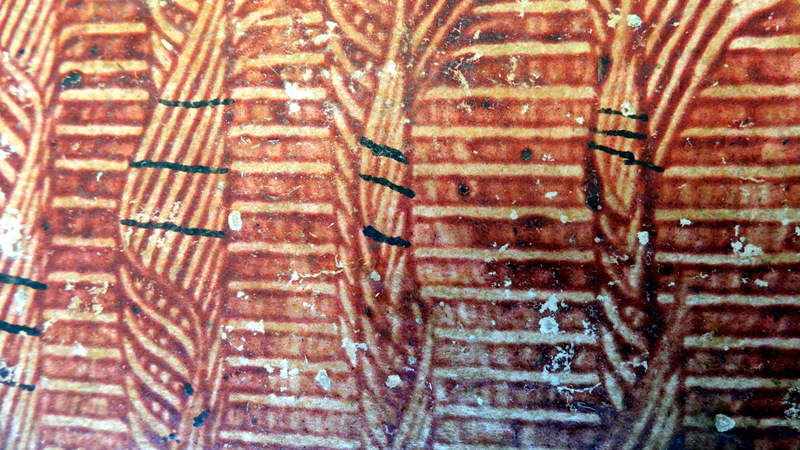 with a variety of tools to create patterns and designs. The cover of Müller’s Treatise struck me not only as beautiful, but also rather modern. Obviously the cover is a little worse for wear as it was made in 1779, and officers and soldiers carried this book around with them during the Revolutionary War, but I think the design is amazing. I’ve got a new obsession, as this is an art which is alive and well as you can see by these examples here, here, and elsewhere. 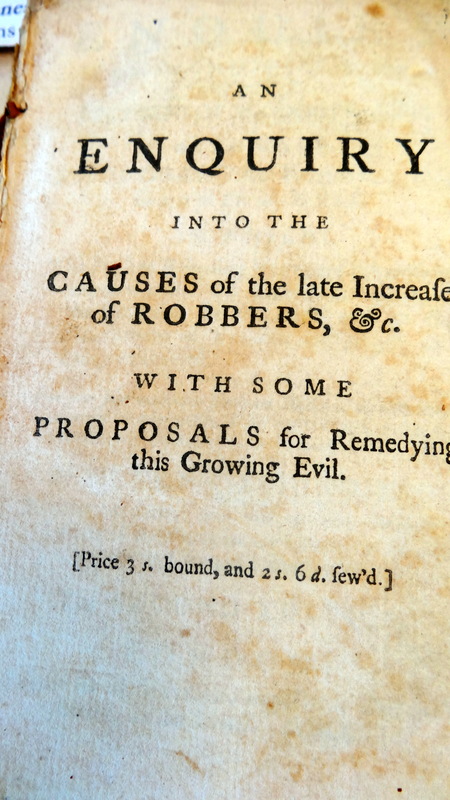 Henry Fielding’s Enquiry into the Causes of the Late Increase of Robbers &c. with Some Proposals for Remedying this Growing Evil (1751) did interest me because of its content rather than its presentation, which was rather pedestrian. 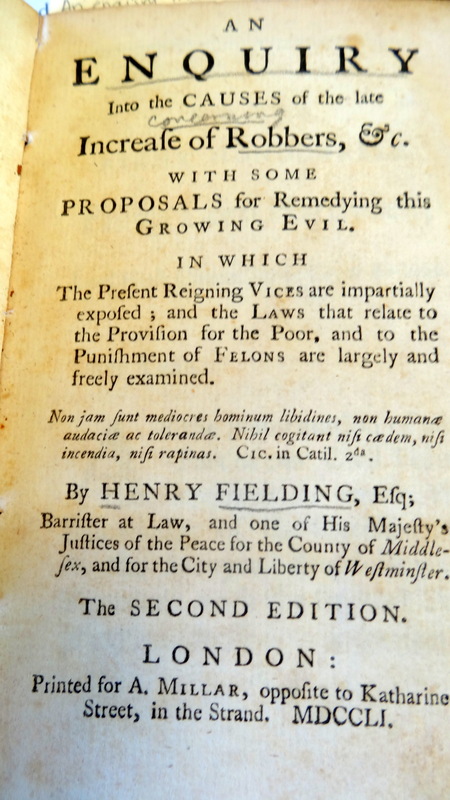 I did not know that the novelist was such an advocate for law and order and justice (he was also a magistrate), and his analysis of the causes of escalating crime in mid-eighteenth-century England (which you can read for yourself here) was interesting, particularly the last part where he discusses (and blames) the spectacle of public executions. 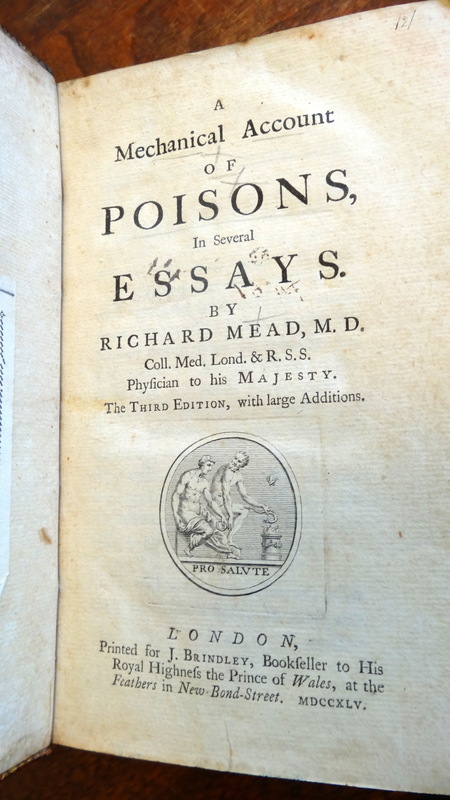 The last book that really stood out, among the array that was before me, is another eighteenth-century text: Richard Mead’s Mechanical Account of Poisons in Several Essays, first published in 1702 and then reprinted several times over the century (you can read the second edition here). I don’t really work on or with the eighteenth century very much, which might be one reason these books are capturing my curiosity. Dr. Mead was a pretty eminent London physician, who counted King George II among his patients, as you can see on the title page below. The essays cover the usual suspects associated with poison and then some: the viper, tarantula, and “mad dog”, poisonous minerals and plants, opium, and “venomous exhalations from the earth: poisonous airs and waters” (assorted noxious fumes). I suppose the “mechanical” in the title refers to the empirical methodology of Dr. Mead; he does refer to various experiments (on pigeons and dogs) but he also seems to rely a lot on ancient unverified information. 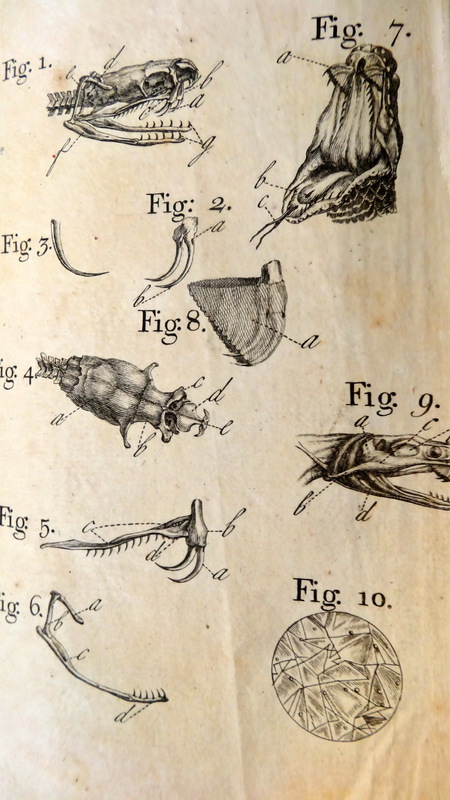 This was surprising to me–I thought the Scientific Revolution had triumphed in the eighteenth century. 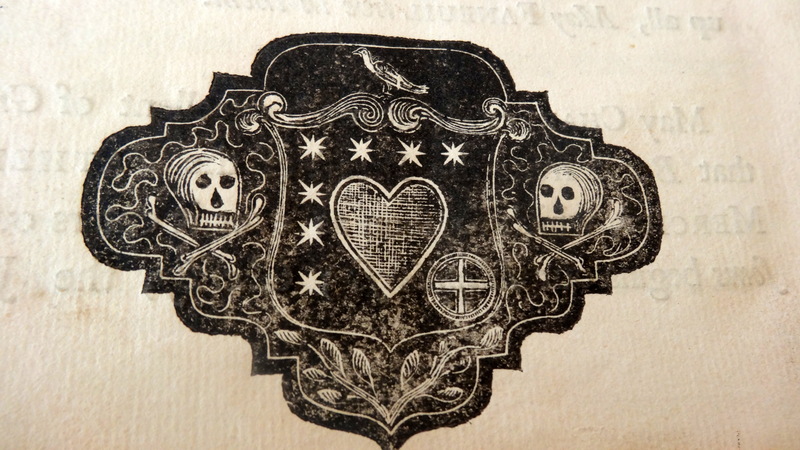 I loved the illustrations of poisonous insects in the back of the book, and as this post seems to be crying out for a skull-and-crossbones image, I am concluding with an illustration from a 1742 printed eulogy for Peter Faneuil (of Faneuil Hall in Boston fame), yet another unassuming volume in the Athenaeum’s collection.